Karamba Bingo now offers many bingo games including Keno which involves matching numbers with dream numbers. This operator is trusted and well established for casino games and the bingo games enhance the site. The games can be played in a safe and secure environment. 100% matched bonus as part of the welcome offer. The bonus only applies for the initial deposit. The maximum bonus is £200. Any winnings from the bonus have to be staked 35 times before the funds can be withdrawn. 20 free games after the first deposit. 40 free games after a deposit of £20 or more on the second day. 40 free games after a deposit of £20 or more on the third day. There is a time limit of 21 days to use the welcome bonus. In terms of the bonus amount and number of free spins, this is a generous welcome offer but the bonus must be wagered 35 times in 21 days so the staking requirements negate some of the financial and free spins elements of the offer. Key T&Cs: Terms and Conditions apply. New players only. 18+. Min deposit £10. Wagering requirement apply 35x. Offer valid for 72hr. 100 spins includes 3 deposit. 15 reward redemption rate compared to 35 for new members. 50 free games each Saturday. Prestige members receive the most personalised benefits and each member’s status improves as they stake more cash. New customers receive up 100 free spins as part of the welcome offer. As a player’s status improves through the hierarchy there is an increasing number of free games credited to an account. 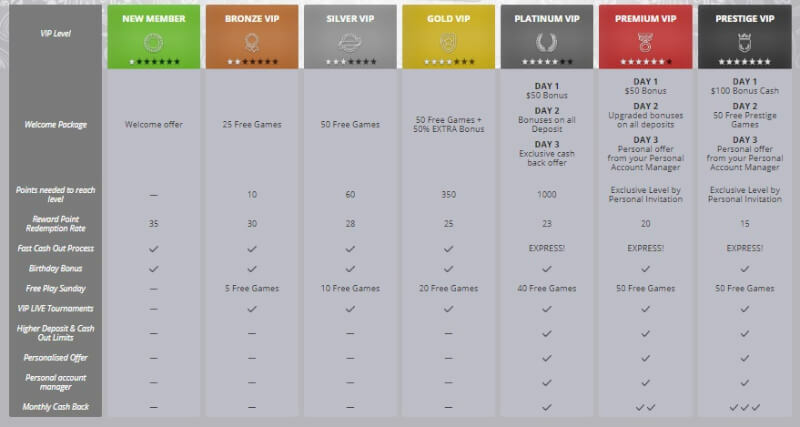 Bronze VIP members at the second level receive 5 free games and this number increments to 50 free games for Premium and Prestige members which are the top two levels of the loyalty programme. Keno is a popular lottery game that is similar to bingo and which can be played on the Karamba bingo site. The game involves choosing numbers from 1 to 80 and a draw of 20 numbers. The objective is to match the numbers. Numbers are drawn at random from a machine similar to ones used in traditional bingo or using a random number generator. 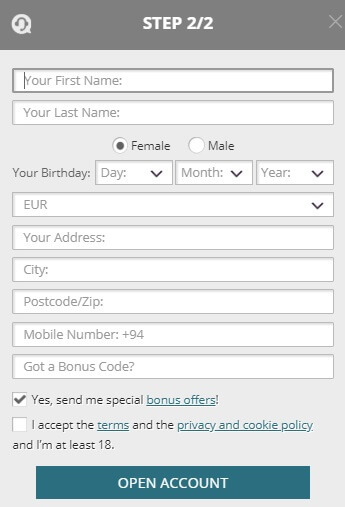 Payouts are based on the number of numbers selected and how many are matched with the numbers that are drawn. The house edge varies and can be as low as 4% or as high as 35%. The higher profit for the bank makes the game much worse value than other casino games like roulette which carries an edge of less than 3%. Customers with Karamba bingo can play Keno for free but there are no prizes. The Karamba bingo casino offers several versions of roulette, blackjack and baccarat and other derivations of the most popular casino card games. The site also features over 200 video slots some of which offer jackpot wins for small stakes. The live casino provides a real casino experience with dealers and croupiers. Customers can play roulette, blackjack and baccarat in the live casino which replicates a brick and mortar casino experience. The Karamba bingo site features a relatively new sportsbook which offers odds for a wide range of sports and leagues. The sports product also features virtual events for horse racing, greyhounds, football, speedway, motor racing and cycling. The Karamba bingo sportsbook also features in-play betting for events in football, basketball, tennis and several other minor betting sports. The Karamba bingo site offers many online scratchcards under the headings of Most Popular, Classic, Instant Games, and Casino Scratch. There are a variety of themes and casino bonus offers for new and existing customers. In fact, the Karamba bingo range of scratch games is one of the best in the online casino sector of gaming. There is a mobile version of the Karamba bingo site which features all the casino games that can be played on the full desktop version. Mobile customers send their email address to Karamba and then they will receive a link which gives them access to the site on mobile devices. Mobile customers are entitled to the welcome offer of up to £200 in the form of a bonus and 100 free games in the first three days after registering with Karamba bingo. The Karamba Casino operator is committed to fair gaming and provides customers with the opportunity to win jackpot prizes for small stakes. The site utilises the latest security technology to ensure a safe gaming experience. Karamba provides several banking methods and guarantees fast payouts to the winning customers. Responsible gaming is encouraged at Karamba bingo and the site tries to prevent anyone under the age of 18 to play on the site. The customer support department is open from 8 am to 1 am CET 7 days a week. Customers click a Contact Us button to get in touch. Karamba Casino is a well-established brand that now offers Karamba Bingo. Although the official bingo website is not live yet, you can still find some bingo games available for playing and perhaps enjoy the Karamba welcome bonus once you become their new customer.